Reading for Literature Standard 6 is one of the most misunderstood Common Core Standards. many teachers are mistakenly teaching this as a unit on first, second, and third person. This is simply off base. What RL6 is really about is the character’s point of view. This means: how does that character see the world? What is the character’s perspective? I have seen so much material out there that keeps teaching narration. We must, as teachers, make the distinction between the two types of POV. One is about the Narration and the other is about the Character. Low level text investigation centers on Narration. 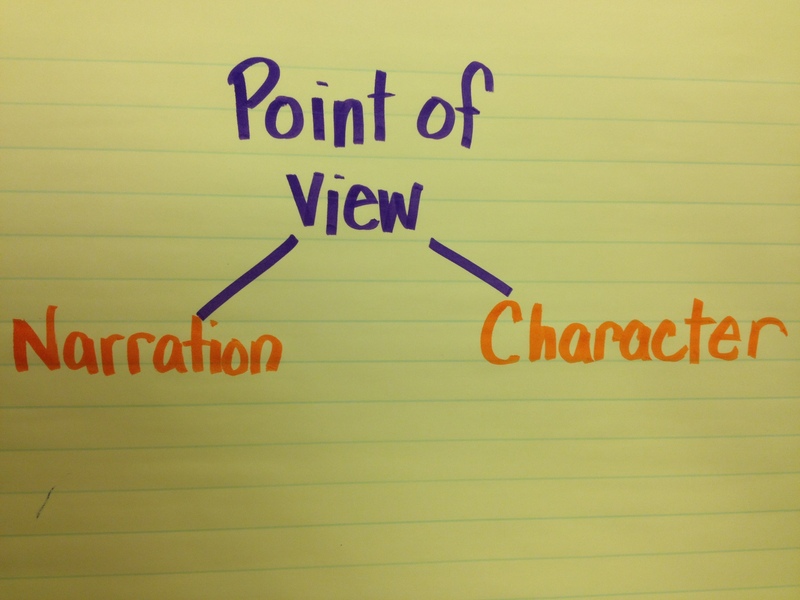 Students should, however, explore points of view from the character end. This is all about making meaning and considering the narrative of others. Common Core places a much more intense and multilayered focus on perspective than simple narration identification. 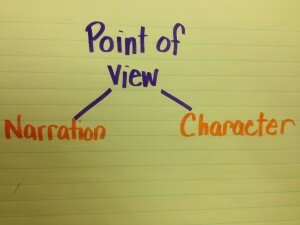 When students meet a character, don’t ask what point of view they are speaking from in terms of first or third person. ALL characters are speaking about their own point of view. Focusing on whether the narration uses I or a formal name is of no consequence. Focus on what this character believes and understands. What is thier viewpoint or perspective? This is done through an analysis of four things: experiences, beliefs, attitudes, and values. Do these overlap? Of course–so never require students to nicely agree about which categorys descriptions go in. What is important is that students discuss the perspective that this character brings to the table. Analysis and thinking about other views and what influences those views is the goal. This is a great activity to do with any character. Students can then go back to our Anchor Standard 1: Textual Evidence. After analyzing the character’s perspective, they could pull textual evidence to support their assertions. Understanding and teaching this appropriately offers a rich variety of activities for students. Pictured below is a chart created using Goldilocks. Picture books and familiar stories are perfect for modeling for all grades. What a great way to make the skill accessible to students, regardless of reading ability before using with a challenging text. It is faster, allows equitable access, and gives students full grasp of the concept before they apply it to grade level text. 1.Create one for two different characters and explain a topic or theme from their perspective. What would Goldilocks think about ___? What would Othello think about_____? 2. 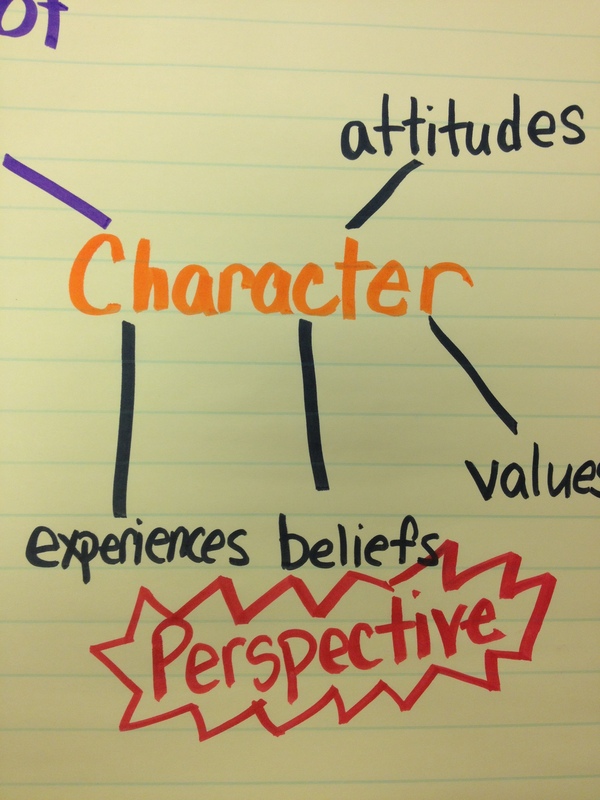 Create a Character Perspective chart and identify specific Textual Evidence to support the assertions. 3. Identify if the information on the chart is explicit or implicit. 4. Trace how the character’s perspective may have changed over the course of the story. 5. Have students create a chart for themselves, a celebrity, or a fictional television or movie character. So, two questions. 1. So, with K-4, we are focusing on narrator’s point of view??? with Common Core? Also, 2. Your example with Goldilocks, isn’t that more so character description/traits- what the character does, feels, thinks, and says in a story? For your first question: It varies just a bit with Common Core, depending on the grade level. For example, in third grade the students are asked to distinguish their own point of view from that of the narrator or those of the characters. 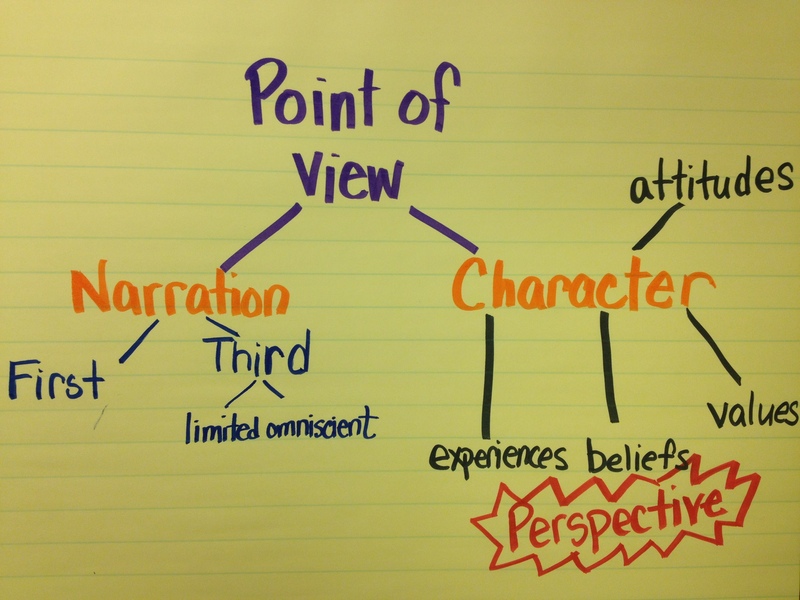 In fourth and fifth they will focus on how a narrator’s or speaker’s point of view impacts events. For the K-1, they just need to know who is telling the story. 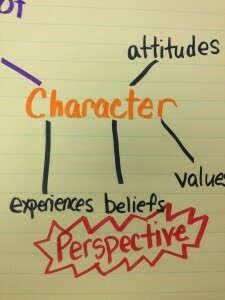 In second grade, they are looking at the differences in the points of view of characters. For the second part of the question, those character traits are all indicators or clues that help readers determine the point of view. I teach this hand in hand with character traits and making inferences. 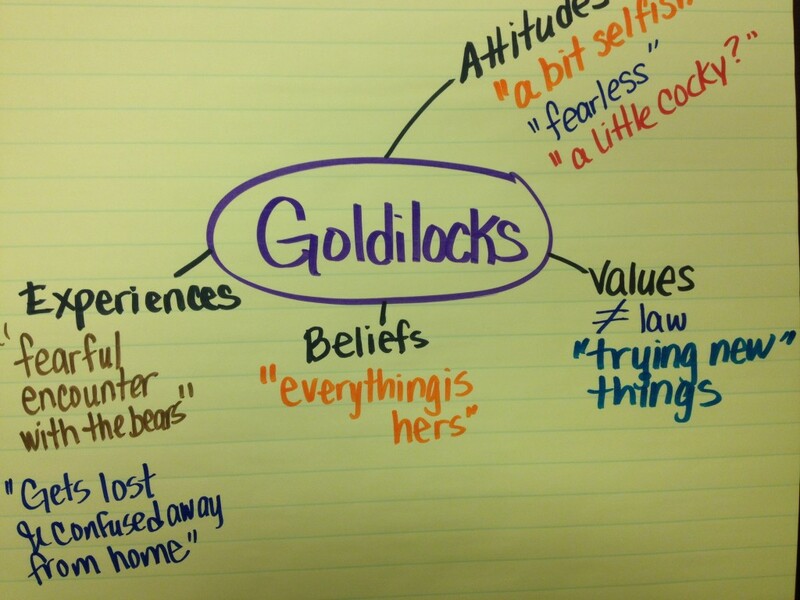 For example, now that we know these things about Goldilocks, what can we infer about her? We even look at real life events and try to determine, based on our inferences, what he POV might be in reference to different topics and subjects. Common Core is notorious for overlapping standards. There are several, like this one, that also seem to integrate and/ or rely on other standards as well. What grade do you work with Diane? Thanks so much for the clarification. I am new to teaching reading and language arts in the fiction realm. Every time I look at that standard I feel like I’m missing something or not getting it. I had an inkling it meant perspective and not narrative point of view but wasn’t certain so I didn’t know how/what to do with it. This was so helpful to me and meaningful. Thank you! !